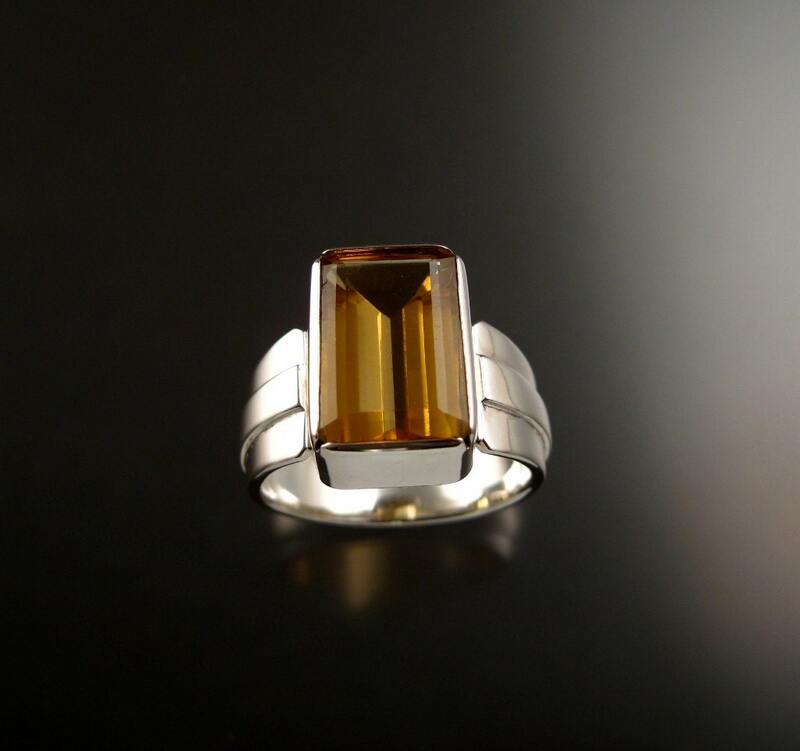 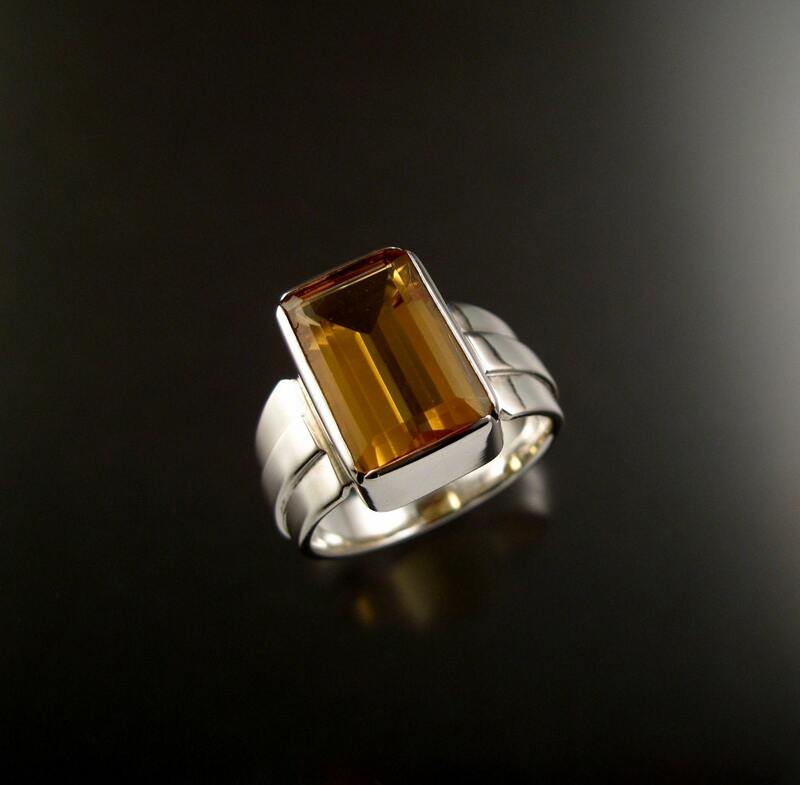 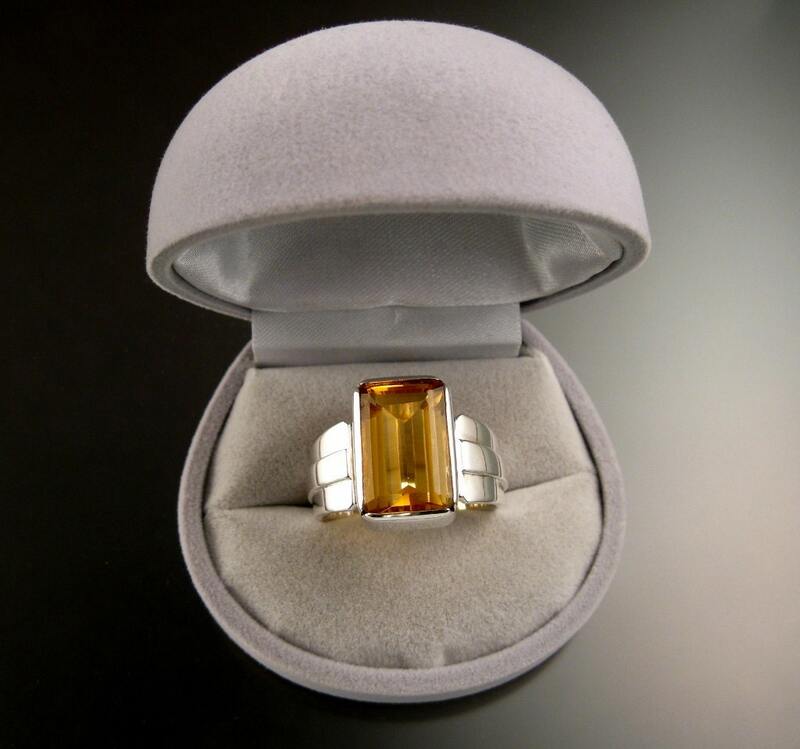 This beautiful amber colored Citrine is eye clean and measures 10x14 mm. 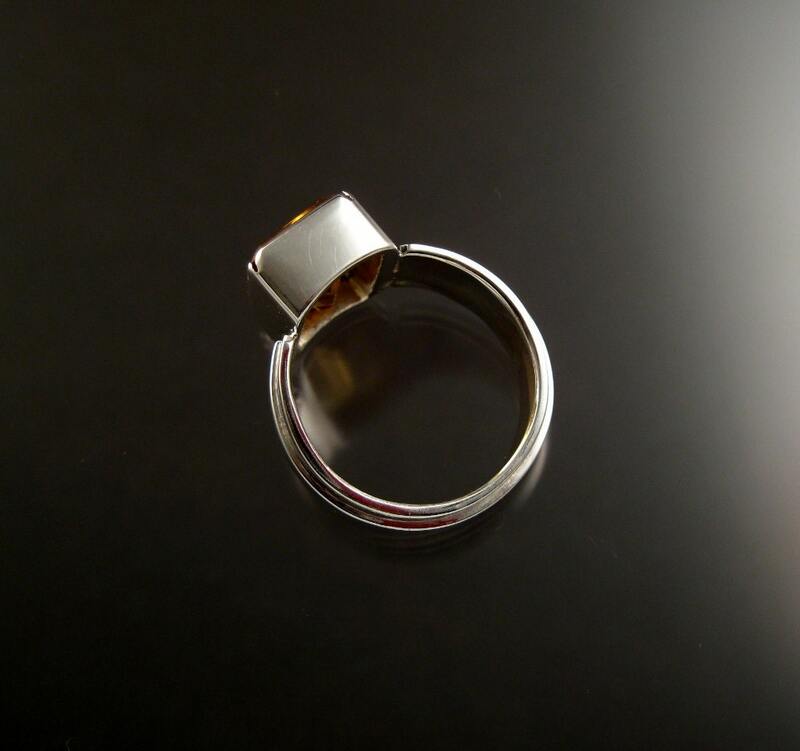 Stone is bezel-set on wide tapered band with raised center. 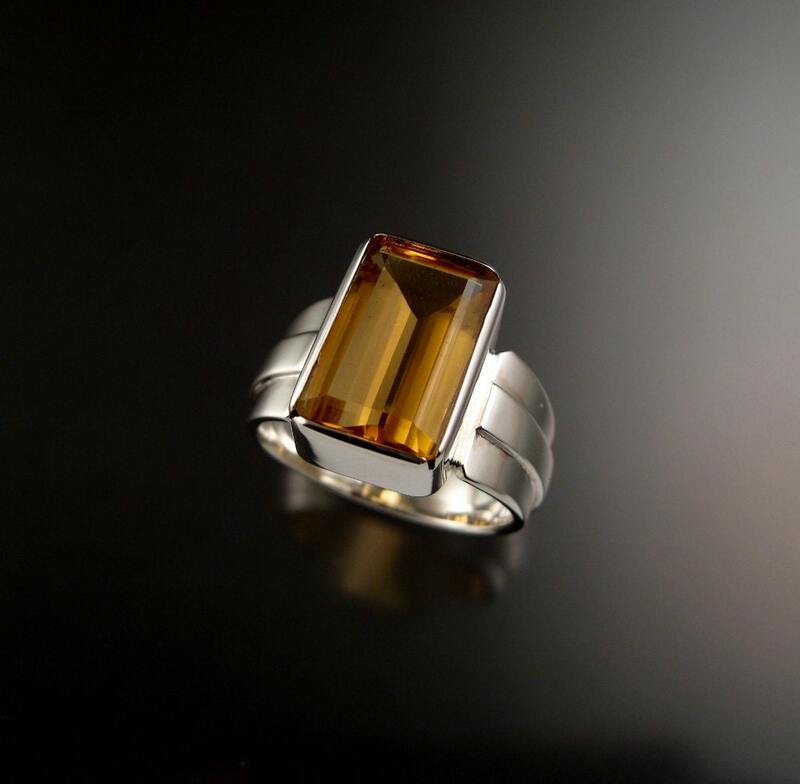 Very impressive design, very classy his work.